I finished up yesterday with the trial left and it went by pretty quickly. Nothing really noteworthy there. 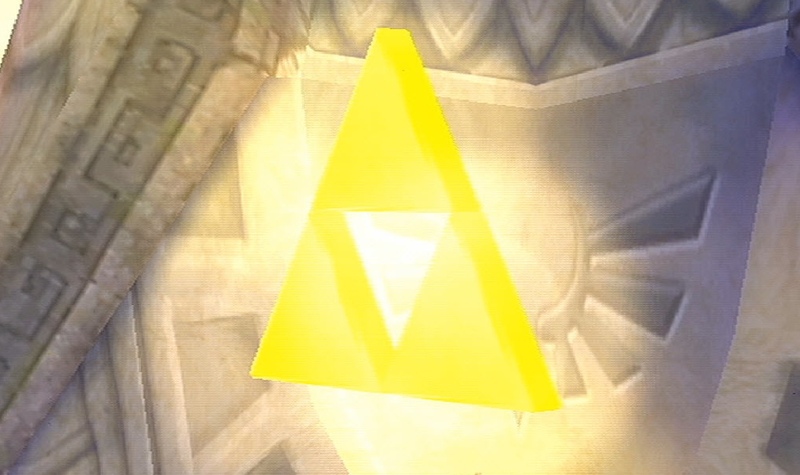 After, you receive a stone that you need to place somewhere to open up the path to the Triforce. Remember WAY BACK in the beginning when someone said they were wondering where the partner to that eye in that one bird statue was? Yeah? This is that stone. Put the stone in the bird and then open up the Sky Keep. The Sky Keep is one of the most interesting temples you will ever take part in. Just keep at it and if you want a hint: you will want to place the initial tile in the lower left to make it easy on yourself. That helped me initially for the last space for the Triforce. After some nice exposition it ends up that … no … your wish for Demise to be destroyed is not enough. You now need to head into the past and stop Ghirahim from reviving Demise there (oh, he also took Zelda). You head through the Gate of Time, talk with Impa (who was caught off guard) and then head out to find that you need to slice your way through a TON of enemies in order to get to the bottom of the area and take on that loser. The enemies are easy, but it is a fun romp to the bottom of the area. It is there that you meet Ghirahim for the final time. You also find out that the guy is actually Demise’s sword. How’s THAT for strange. He was also dancing around Zelda for a little bit … a strange guy. The battle is varied but after the first death (I just can’t get through this thing without dying) you will figure out what you need to do, but as long as you don’t blindly slash away at him you should get past this pretty easily. Sadly, it is too late, and Demise has been revived. He’s not quite completely “there” yet, so he will wait for you to come and battle him in his own realm. You can now save and then go and meet him when you are ready. Make a copy of your save file now so that you have the option of going back and finishing any side quests you want later. Now, it is time to finish this. As you can already see, this is one mean dude. 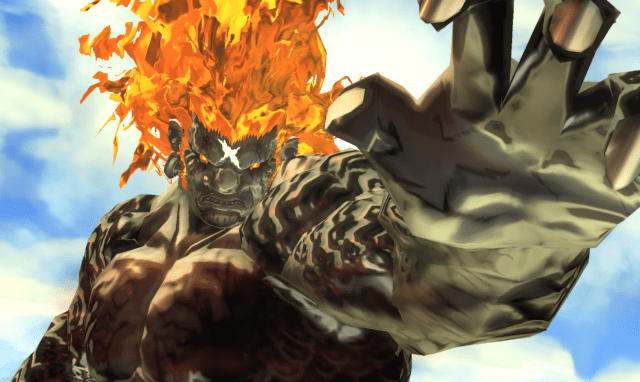 He essentially pulled his blade out of Ghirahim and now you need to battle him. The whole boss battle is all sword play, but you need to be able to dodge his attacks and counter with your shield in order to get in your strikes. Make sure you have some fairies, heart potions, and/or revitalization potions handy for at least the first run-through just so that you can make some mistakes as you figure out what is going on. It’s a fun battle, and I like the fact that Demise is not going to move fast or really throw any tricks at you … it fits his personality. You can also see how this ties together with the ever-present triangle of Link/Zelda/Ganon (just look at that picture). However, he WILL fall. Link WILL land the killing blow. 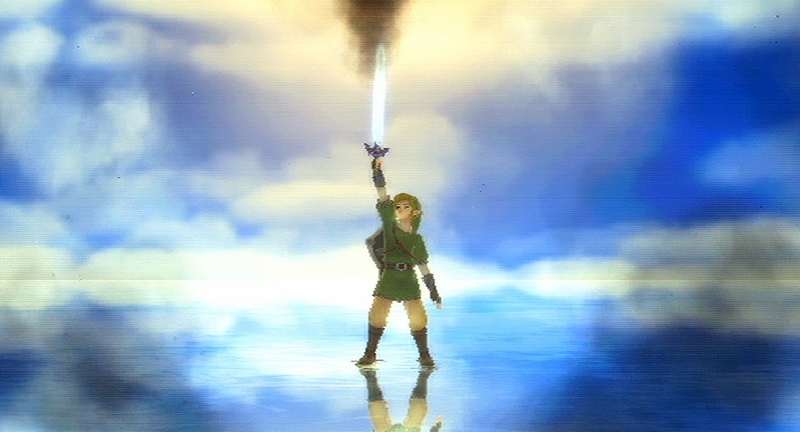 Demise WILL be sealed away in the Master Sword and, finally, you WILL watch the end all the way through. At the end of everything, after some touching scenes, you will finally be treated to the final screen. I’m going to be taking a break (really, this time I am) from playing video games. I have plenty of other work to do. However, I will be writing a short review of Skyward Sword in the near future and will update my ranking for the 3D Zeldas too. I will end with this: Skyward Sword is, at the very least, the finest video game I have played since at least Ocarina of Time. That’s all I’m going to say. It is an amazing game and I recommend it highly to anyone who even thinks they might be interested in it and many who might not even consider it. That’s the reason I say to make a copy, so that you can have access to Hero Mode along with being able to go back and finish up side quests in your original run-through it you like.